Every time you clean your home you are removing negative energy. Cleaning your home or work space will make it lighter and more positive. This is a result of organizing, of ridding yourself of things you no longer need and removing toxic products from your environment. Just opening windows brings in fresh, positive energy. Other space clearing techniques include dowsing; smudging with herbs or incense; clearing with bells, cymbals and singing bowls; and clearing with chanting. I’ll describe these methods in future posts. No matter what method or methods you chose to clear negative or disturbed energies, always clear mindfully and without distractions. Turn off the stereo and television—you need to clear in a quiet atmosphere. Your intent is to clear disturbed or negative energies. When clearing, visualize these energies disappearing. The reason that you should be specific is that you want the good energy left undisturbed. 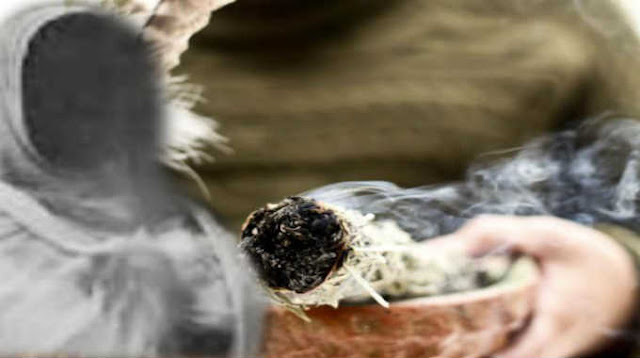 If you chose to smudge with herbs, for example, speak aloud or silently words to convey that you are removing negative energy. Clearing is done in a meditative-type state—slowly and with focus—so the words are much like a mantra. Keep them simple. 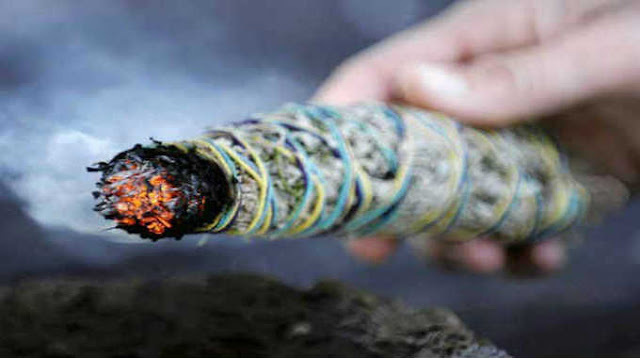 For example, if I am smudging, I will think “negativity be gone!” or “if there is negative energy present, please leave.” At the same time, I visualize the space vibrant with only positive energy. When you move into a new residence, clean and clear the space meticulously. You are clearing any possible negative or disturbed emotions of the previous occupants and other negative or disturbed energies. Clear your new office for the same reason. Following an illness of a member of a household the negative energy should be cleared. All objects that are antiques, previously used (particularly jewelry), works of art, crafts and anything made by hand should be individually cleared of negative energy. When feasible, wash items as well. If you buy an antique rocking chair, for example, that chair may have been sat on for years by the same person. This is great if it was a happy person—not so great if it was a miserable person. The energy of the rocking chair’s previous owner is in that chair. On the subject of buying something that was previous used, I highly recommend that you do not purchase a second-hand bed. So much time is spent in bed—therefore, too much energy of the previous owner(s) is in a bed. Do you really want to gamble on who spent time in your bed? If you already have a used bed that you love, or insist on buying a used bed, learn how to dowse or hire someone to dowse it for you. Second-hand jewelry should be cleared, as jewelry picks up the energy of the wearer. You may wish to clear all your jewelry, crystals and gemstones, especially if you have been feeling poorly. Be especially mindful of clearing only negative energy when working on an inherited piece from a loved one. To clear gemstones and crystals, sea salt works well. Salt can be dissolved or used dry. For salt water, mix a tablespoon of sea salt with a cup of cold water in a glass or ceramic container. Do not use plastic or metal containers. Place the stones in the solution for several hours or overnight. With dry salt, bury pieces in a glass or ceramic container and leave for several hours or overnight. When clearing gemstone necklaces, use dry salt, as the water solution will deteriorate the cord that the beads were strung on. Discard salt. Clear in sunlight—allow to sit in the sun for a day. Clear in moonlight. Bury in the earth overnight with a full moon. Smudge all jewelry, gemstones and crystals. You can clear jewelry of negative energy with a pendulum. Clear negative energies if you or other members of your household are feeling poorly for any unexplained reason. This can include any mental, physical or emotional upset. This is most notable if a change occurs following a move into a new home or office. This post was republished from in5d.com You can find the original post here.